Which Greek or King James New Testaments are you reading? Many people today can go into a bookshop and buy a Greek New Testament. Many Christians or scholars do this and no doubt many consider that they now own the New Testament in the ‘original Greek’. However, this may be a misunderstanding. If we look back to the 16th century, we see that there were many Greek and Latin New Testaments published during that century. For example, between 1516–1521, Erasmus published his Greek New Testament which he based upon the best available manuscripts of his day. In 1550, Stephanus published his Greek New Testament based upon the best available manuscripts of his day. In 1556, Theodore Beza published both a Greek New Testament and a Latin New Testament, again based upon the best available manuscripts of his day. Contrary to what many believe or are told, the translators of the King James Bible did not exclusively use the ‘Textus Receptus’ by Erasmus. Research reveals that in many passages the King James Bible translators preferred the textual renderings of Stephanus’ 1550 Greek New Testament, and also Theodore Beza’s 1556 Latin New Testament. They also consulted the Latin Vulgate. We know for certain that Tyndale used Erasmus’ Greek New Testament for his 1526 and 1534 New Testaments, and that the majority of the New Testament of the ‘original’ King James Bible was merely a revision of Tyndale’s 1534 New Testament. 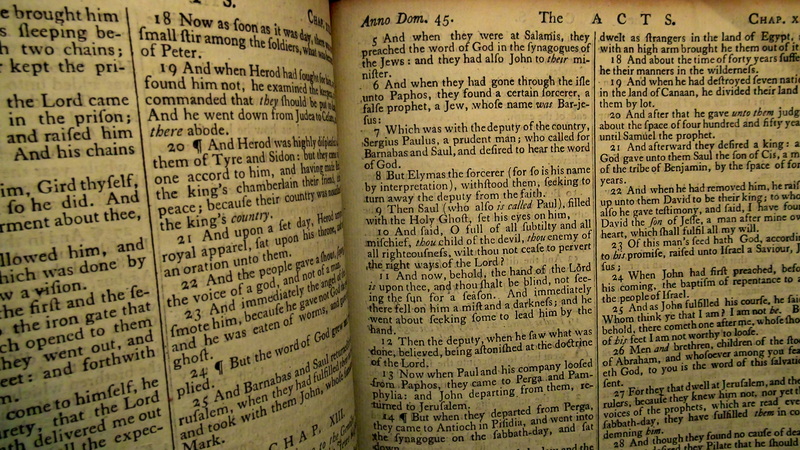 Likewise, in many ways the KJV was also a revision of the Geneva Bible. Yet even in that, many of today’s publications of the King James Version are not the original 1611 text. One common mistake is the idea that the King James Version was not revised until 1881. This is simply untrue. The original translators of the King James Version wrote by hand and the original manuscripts had to be printed. 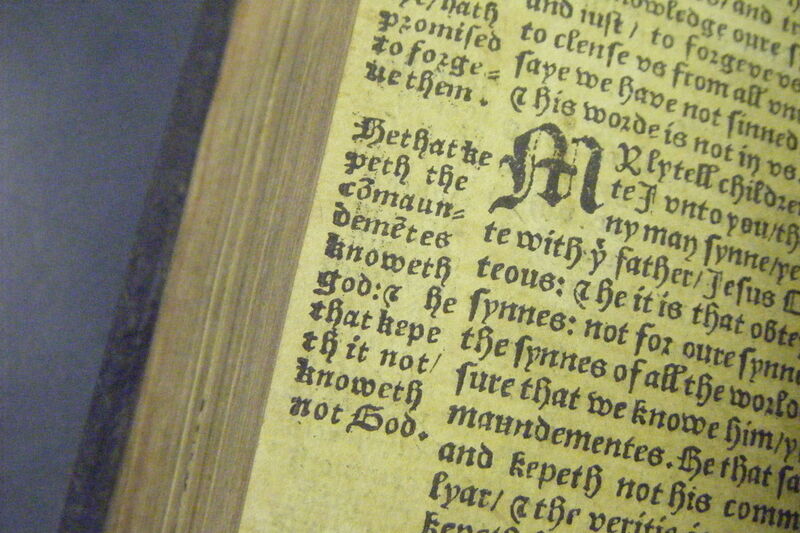 Thus, the many printing errors happened and thus the KJV underwent many print revisions in the 17th and 18th centuries. Research into many original prints of the KJV between 1611-1762 reveal a number of printing errors including the popular ‘Adultery Bible’ and the ‘Vinegar Bible’ yet it should also be noted that there are other Bibles too which also contain less harmful printing errors. Some of these errors can be found in ancient copies of the Geneva Bible and the King James Bible, some of them involving page numbers and scriptures written underneath engravings. Perhaps more than that, there were some who disagreed entirely with the way the KJV translators rendered certain passages. One of the main 18th century revisions of the KJV was by Cambridge Bible scholar Dr. Francis Sawyer Parris (1707-1760), who’s work was included in the 1762 KJ revision based upon years of his work. In 1769 a revision was published which incorporated much of Paris’ work. His work remains in most King James Bible translations published today. Note the removal of the comma after “God” and before “and our Saviour”, which I think puts more emphasis upon the Godhead and Deity of Jesus Christ. Fair enough, the revisions made in the 17th -18th centuries do not appear to alter doctrine, but they were revisions none-the-less. And the 1769 revision arguably enhances the proclamation of the Deity of Jesus, and the doctrine of the Godhead (Trinity). Likewise it is not only so with the KJV but revisions also took place with publications of various Greek New Testaments. These revisions include the Textus Receptus and Stephanus and even the Latin Vulgate. Today, if a person were to purchase a 19th century print of the Greek New Testament by Stephanus, it is likely that they would be getting a re-worked version of Stephanus’s 1551 NT which had been updated and altered by a man named John Mill. This is often referred to as ‘Mill’s text’. John Mill (1645-1707) was an English Theologian and Oxford scholar who worked on the Greek New Testament based upon around 100 or so manuscripts. He also claimed to have found “30,000 discrepancies”. Thus, it is likely that if a person has a Stephanus’ GNT according to ‘Mill’s text’ it will not be the original text of Stephanus’ 1550. This can also be the case with the Latin Vulgate or Biblia Sacra, which is often the edition of the Vulgate published under Pope Clement V111. The probable facts are that unless a person acquires an actual original print or facsimile of either Erasmus, Stephanus, or possible Beza, the person will not be getting the actual original desired work, but a text which has been altered, or updated in later centuries. Facsimiles or original prints are the best. You are currently browsing the archives for the Bible translation category.